No. 1 They said you can’t change the world. 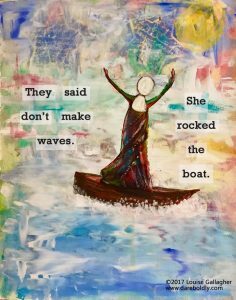 She Persisted. No 2. They said be quiet. She spoke up. No 3. They said sit down. She stood up. No 7. They said her dreams were impossible. 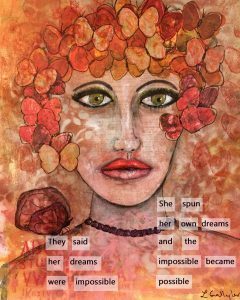 She spun her own dreams and the impossible became possible. No 8. They said keep your feet on the ground. 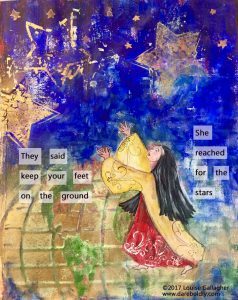 She reached for the stars. No. 10. They said it couldn’t be done. 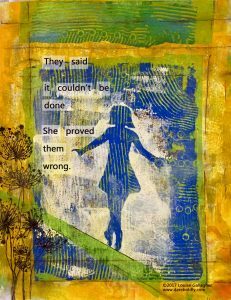 She proved them wrong. No. 11 They said it was time to grow up. 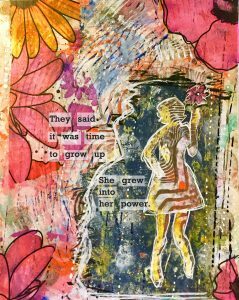 She grew into her power. No. 12 #ShePersisted They said be careful. 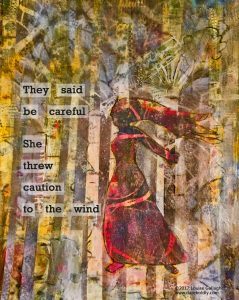 She threw caution to the wind. No. 13 They said climb too high you will fall. 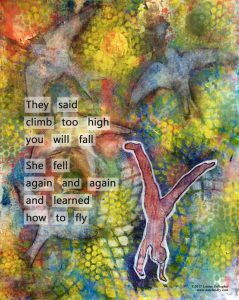 She fell again and again and learned how to fly. No. 14 They said follow our lead. 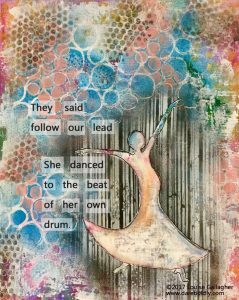 She danced to the beat of her own drum. No. 15 They said, stay here with us where you’ll be safe. 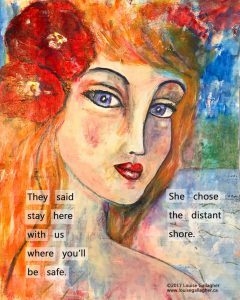 She chose the distant shore. No 16 They said she didn’t matter. 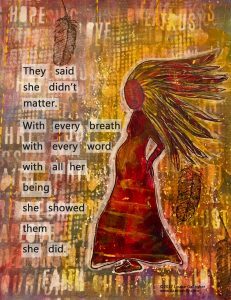 With every breath, with every word, with all her being, she showed them she did matter. No. 17 The said get over it. 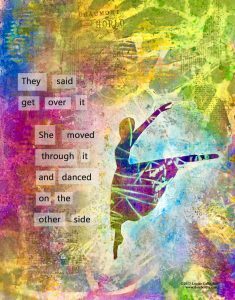 She moved through it and danced on the other side. No. 18 They said just accept it, you can’t change it. 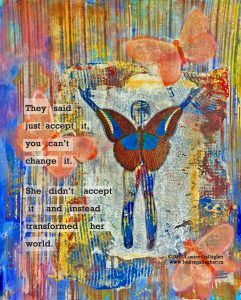 She didn’t accept it and instead transformed her world. No 19 They said do it our way. 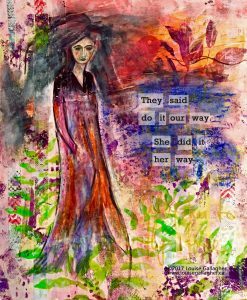 She did it her way… and her way worked too. No 20 They said she was being difficult and needed to back off. 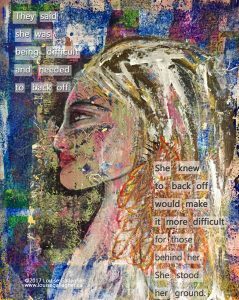 She knew to back off would make it more difficult for those behind her. She stood her ground. No. 21 They said there was no way you will change the world. 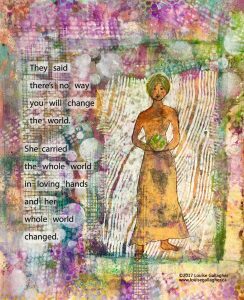 She held the world in loving hands and her whole world changed. 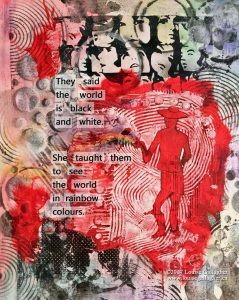 No 22 They said the world is black and white. 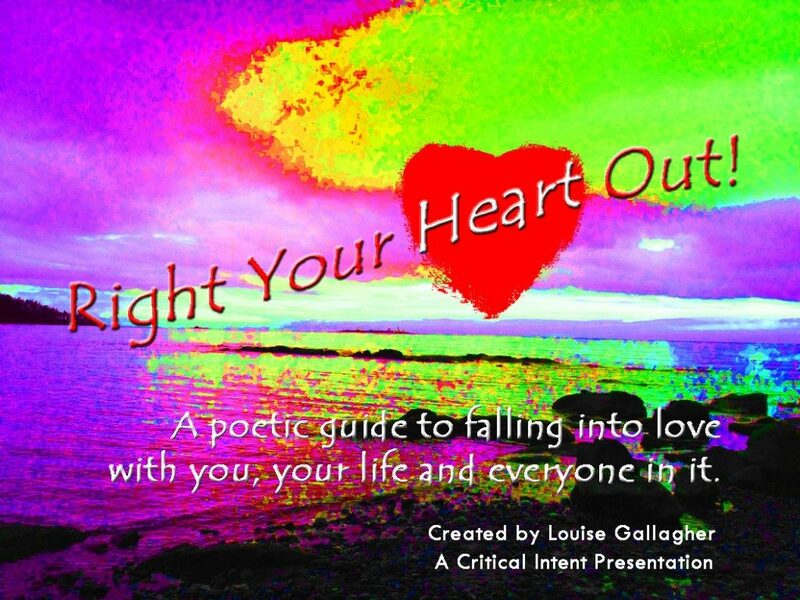 She taught them to see the world in rainbow colours. No 23 They said your story is written on the wall. 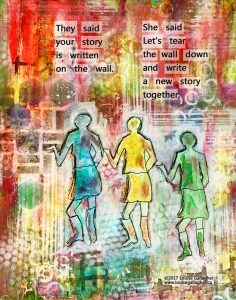 She said Let’s tear the wall down and write a new story together. No 24 They said don’t be so brash, so loud, so bold. 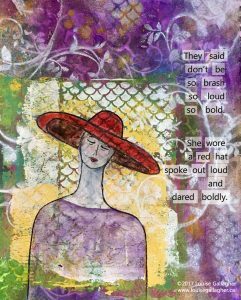 She wore a red hat, spoke out loud and dared boldly. No 25. They said calm down. 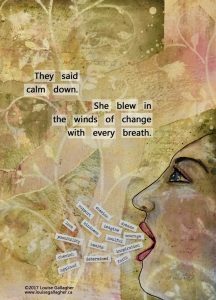 She blew in the winds of change with every breath. No. 26 They said you’re making us uncomfortable. Tone it down. 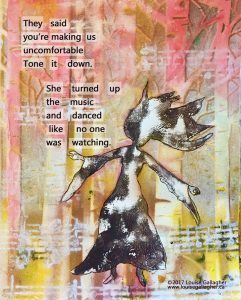 She turned up the music and danced like no one was watching. No. 27 — They said she ran like a girl. She said, I am a girl. 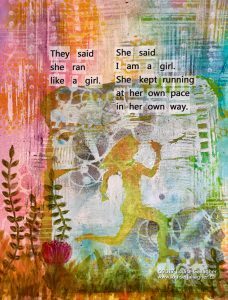 She kept running at her own pace, in her own way. No 28. They said you can’t come in here. 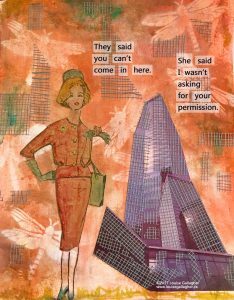 She said, I wasn’t asking for your permission. No 29. They said stay on your side of the line. 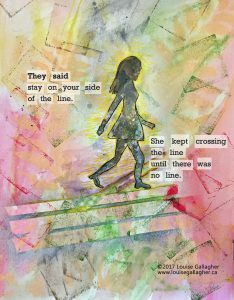 She kept crossing the line until there was no line. No. 30. They said, let us take your body, we’ll give you the world. 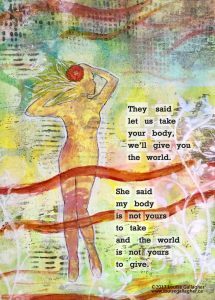 She said my body is not yours to take, and the world is not yours to give. No. 31. They said, we’ll make you a princess and take you to happily ever-after. 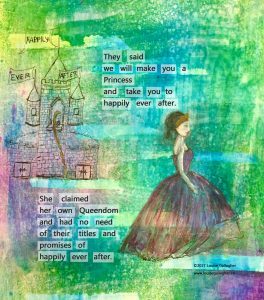 She claimed her own Queendom and had no need of their titles and promises of happily-ever-after. No. 32. They said, we expect you to know your place and not be so uppity. 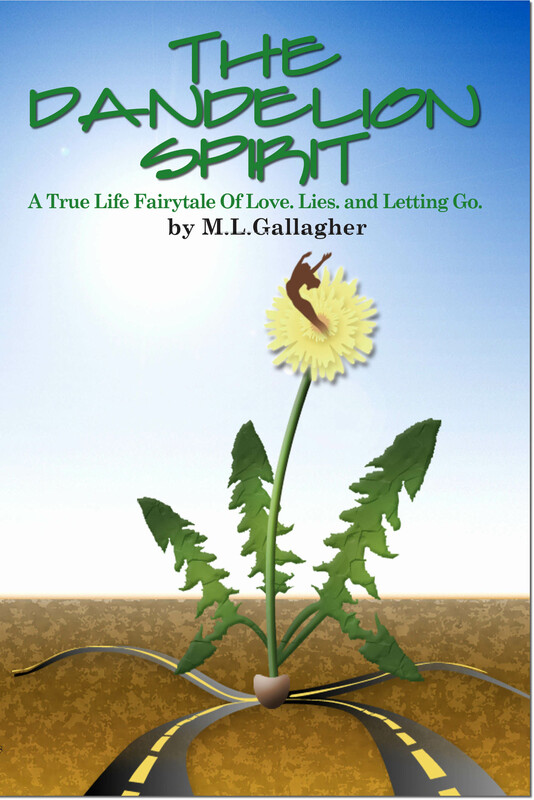 She got real uppity and rose above their expecations. No. 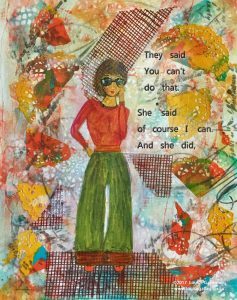 33 #ShePersisted They said know your limits. 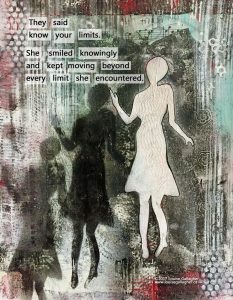 She smiled knowingly and kept moving beyond every limitation she encountered. No. 34 They said settle down and stop making a fool of yourself. 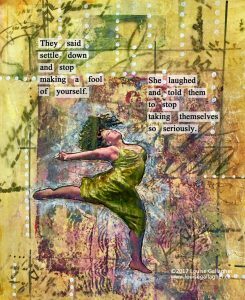 She Laughed and said stop taking yourself so seriously. No. 35 #ShePersisted — they said stop being so emotional. 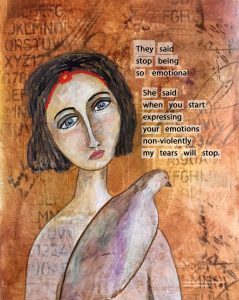 She said, when you start expressing your emotions non-violently, my tears will stop. No. 37 series They said, it’s your own fault. 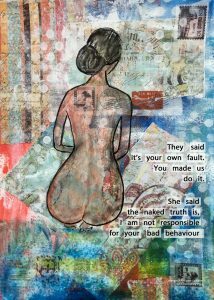 You made us do it.She said, I am not responsible for your bad behaviour. No. 38 #ShePersisted – They said, what you were has to please us. She said, if it hurts me it doesn’t please me. 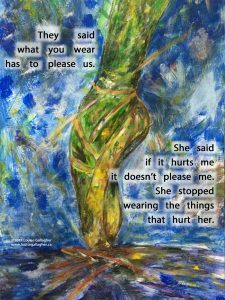 She stopped wearing things that hurt her. No. 39 #ShePersisted They said, be patient. 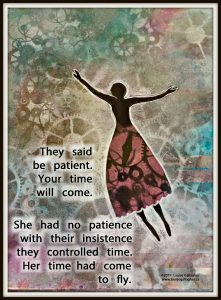 Your time will come. 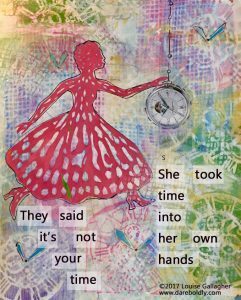 She had no patience with their insistence they controlled time. 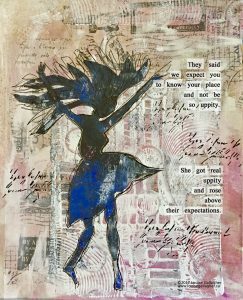 Her time had come to fly. No. 40 They said, you need to act like a lady. 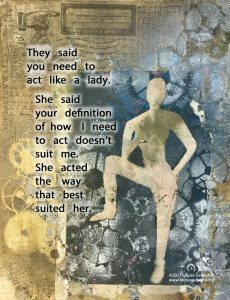 She said your definition of how I need to act doesn’t suit me. 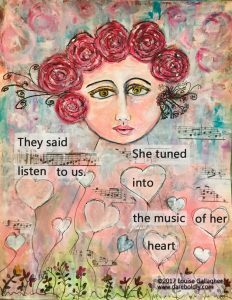 She acted the way that suited her best. 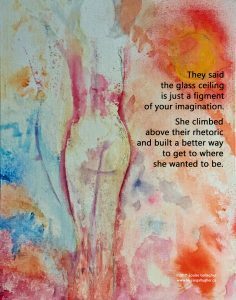 No 41 #ShePersisted series They said, the glass ceiling is a figment of your imagination.She rose above their rhetoric and built a better way to get to where she wanted to be. No. 42 They said, you need to be more… and they gave her a list. 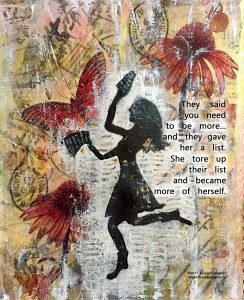 She tore up their list and became more of herself. No. 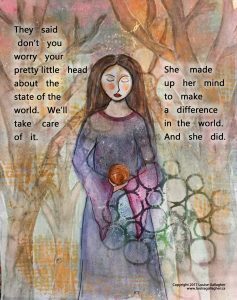 43 #ShePersisted They said, don’t you worry your pretty little head about the world. We’ll take care of it. 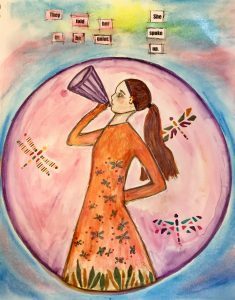 She made up her mind to make a difference in the world. And she did. No. 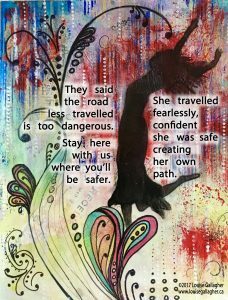 44 #ShePersisted They said the road less travelled is too dangerous. 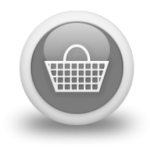 Stay here with us where you’ll be safe. 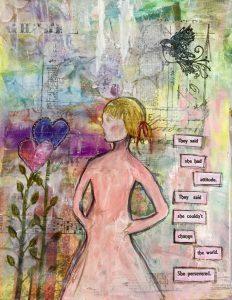 She travelled fearlessly, confident she was safe creating her own path. No. 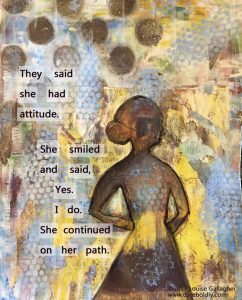 45 #ShePersisted They said there’s only one way to succeed, you must be more like us.She said being like you doesn’t fit me. 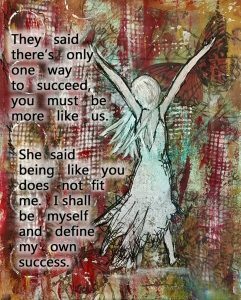 I shall be myself and define my own success. No. 46 #ShePersisted They said, you can’t do that. She said, yes I can. and she did. 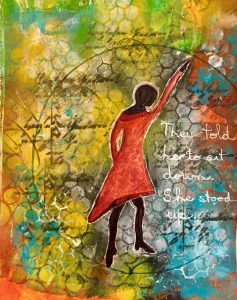 No 48 #ShePersisted. 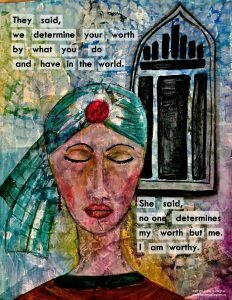 They said, we determine your worth by what you do and have in the world. No 49. 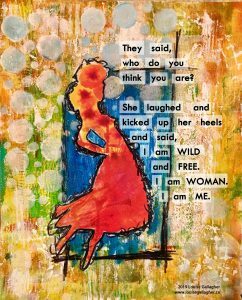 #ShePersisted They Said, who do you think you are? No. 50. 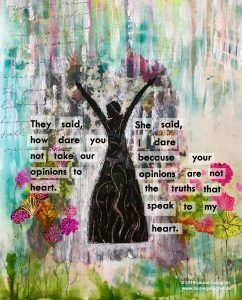 #ShePersisted They said, how dare you not take our opinions to hearts.